Founded in 1921 by Guccio Gucci, the brand was extended in the 1970's with the introduction of Swiss Made timepieces and was developed in 1997 with Italian-made silver jewelry, followed by a Fine Jewelry collection in 1999. The jewelry portfolio has grown over time and today includes dazzling, made-to-order High Jewelry parures that represent the pinnacle of innovative creativity and impeccable craftsmanship. All Gucci Jewelry designs offer a uniquely Italian and contemporary take on elegant style and glamour, incorporating the brand’s signature motifs, such as the Horsebit or 'GG' monograms. 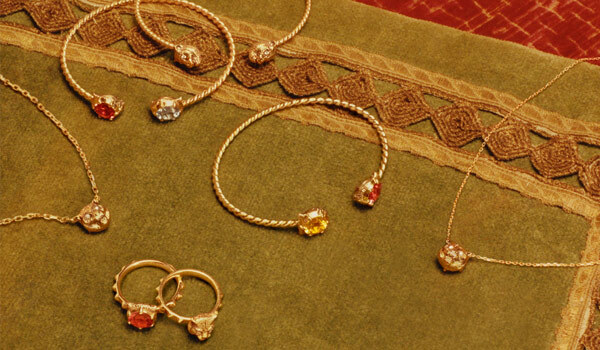 In its most luxurious expression, Gucci Jewelry is embellished with precious stones such as rubies, sapphires or diamonds, and the latter are always Kimberley certified.